Cebu Spanish cuisine is very notable in Filipino dishes. Wide acceptance of Spanish flavors is very true in the sense that climate and geography are somehow common between the two cultures. Basically, both countries are heavily influenced by seafood available from the waters surrounding them. 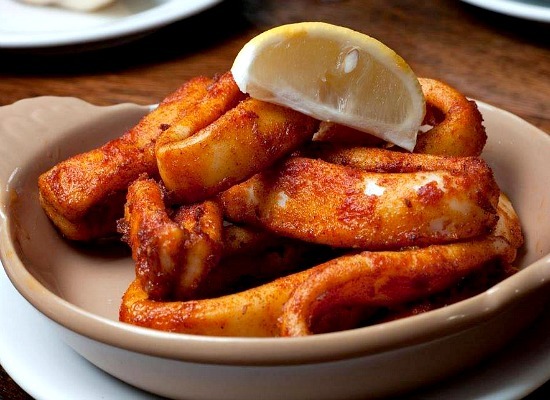 The extensive history of Spain and its cultural influences have added much value and flavour of their numerous recipes. 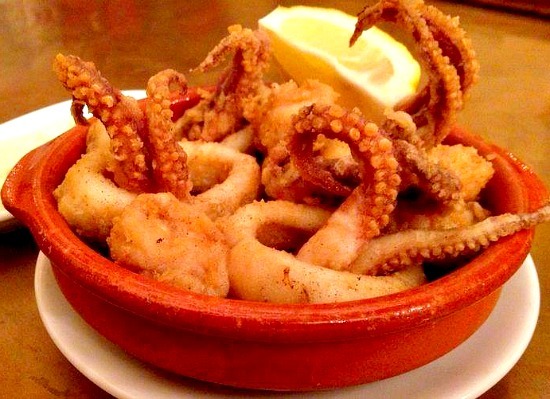 So, although a tropical vacation is fun and amazing, you sometimes need to eat ‘properly’ by going to homely restaurants, such as the Spanish restaurants that we’ll be talking about soon. Most of these restaurants are located at the heart of Cebu or Mactan cities. Gambas Al Ajilo is just one of their most-loved dishes by visitors. It is basically a stir-fried shrimps with garlic menu, among other ingredients. 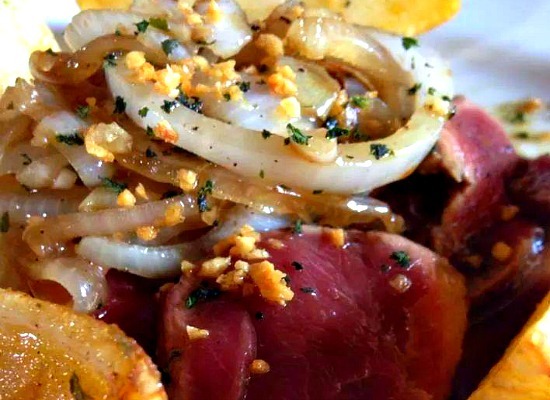 Aside from seafood, you can also find more meaty menu in this restaurant since meat is also popular in Cebu Spanish cuisine, including sheep, lamb, pork, and beef. For example, you can order a 100 grams or more of uncured ham which is best eaten with some wine and cheese. You can enjoy their 50% discount price on all local beers during Happy Hours: 3:00PM to 6:00PM, 9:00 to 12:00PM. Address: Max Center across Shangri-La Hotel at Punta Engano, Cabesa Tacio, Lapu-Lapu City. Cochinillo Asado (roasted suckling pig). Most probably, one of the obvious influences from this dish in Filipino culinary is the lechon - a much bigger roasted pig which is a must delicacy in every important event in this culture. Or, we can also argue that lechon is an original Filipino dish although other cultures do barbecue whole pig and other animals, especially for banquets and other huge gatherings. 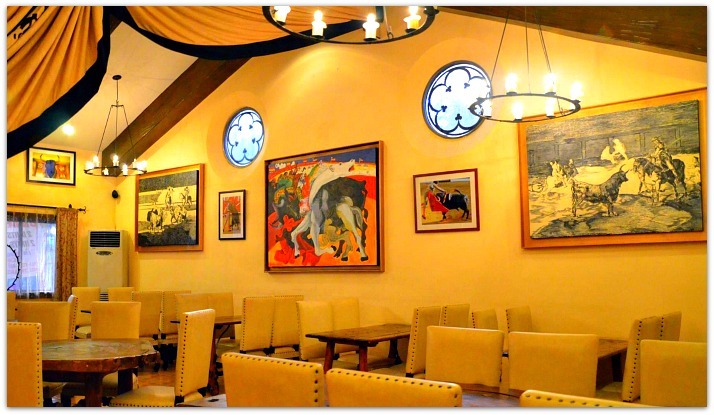 Yes, this is a truly Spanish looking place where you can eat authentic and delicious Spanish cuisine. This restaurant emphasizes that they prepare their dishes only with Spanish olive oil and extra virgin olive oils. Ensaladas – Ensalada mixta completa, Ensalada de atun y patata, etc. Sopas – Sopa de ajo, Sopa de mariscos, Sopa Juliana, etc. 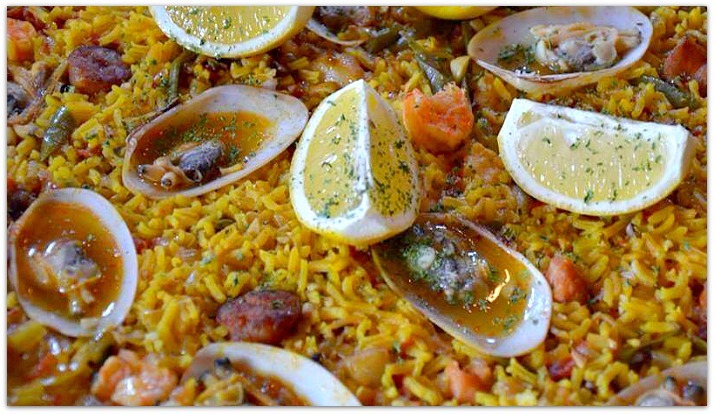 Paella (rice dishes) – Paella de la casa, Paella, marinera, Paella negra/verduras, etc. 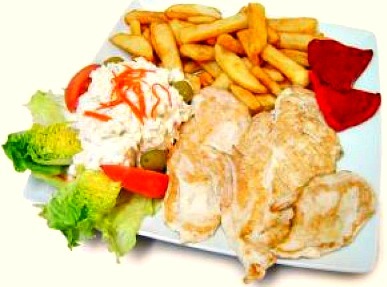 Aves (Fowl) – Pollo al ajillo, Pechuga de pollo empanada, Pollo asado al horno, etc. Pescados y Mariscos (fish & shellfish) – Bacalao, Pescado en salsa verde, langosticnos a al plancha, Sepia a al plancha, Pescado rebozado, Pescado empanado, etc. Carnes (beef, pork, lamb) – Lengua estofada, Solomillo a lo probre, filete, Chuleton asado, Pierna asada de cordero, Rabo de toro, Callos a la madrileno, Caldereta, etc. Vino – Los Llanos Vino Blanco, Aves de Presa Blanco, Los Llanos Cabernet, Los Llanos Crianza, Pata Negra “Oro” Cabernet, Don Opas, Pergolas Crianza, etc. There you are. You may visit those places and call them ahead to set your table and prepare you most preferred menu from among the Cebu Spanish cuisine or restaurants. Cebu Restaurants. The linked page includes all international as well as Filipinos restaurants available in Cebu City. And, if you are particularly a vegetarian or vegan eater, you may visit the link: Cebu Vegetarian Restaurants. Enjoy your dinner and drinks. Salud!